August 30, 2014 by Beau H.
The Navali Stowaway Weekender bag in Carafe. A sturdy, durable bag at a great price. Hitting the road (or hopping on a plane) doesn’t mean style should take a backseat. In fact, far from it. Traveling is a great way to put both your packing skills and your passion for style into practice. And getting to a final destination in style is a big part of the trip itself. That’s why what you carry with you should reflect similarly fashionable ideals. If you’re a discerning traveler or a man interested in looking presentable, it’s time to ditch the gym bag when outside the gym, and reach for something infinitely more durable, stylish rugged-looking. I found all of those traits with my Navali Stowaway Weekender Bag, and it’s definitely worth picking up, especially for under $100 (as it is right now on Navali’s website). Travel well: Most of the spread for a weekend music festival in San Francisco. Throughout the trip, it handled exactly like I hoped it would. Combined with a detachable shoulder strap, the bag was easy to carry — not too heavy to lug around when filled with clothes and shoes. The strap sat nicely on my shoulder and didn’t dig in or slip, a nice bonus when considering how frequently it’ll have to be carried through airports and the like. The bag’s zipper is strong and the top of the bag feels reinforced and not nearly as flimsy as my old Everlane Canvas Weekender bag (it doesn’t look like these are sold through their site anymore? Seems as if the sturdier Twill version has taken its place). Unfortunately, the Everlane bag suffered a bad rip, and the hole worsened from there — leading me to this Navali number. The bag’s handles, which I used a decent amount of the time, are easy to grip yet don’t feel too flimsy; the leather is soft and should wear in nicely over time. The bag comes with a lifetime warranty, and could easily last that long. The bag features a number of handy extras, too. For starters, it has an exterior zipper pocket running the length of the back of the bag, useful for storing things like phone chargers or other odds and ends. Two exterior pockets on the opposite side combine thick brass and leather fastenings for yet more outer storage space, and an interior zipper also provides more room. An open pocket on the inside of the bag (as seen above) further adds to the utility of the piece without taking too much space away from the main compartment. A closer look at the durable fastenings on the bag’s exterior pockets. Notably, this bag seems like it can take even more than what I threw at it. The washed canvas exterior is malleable without being too soft, and the bag itself held enough clothes for four days on the road with room for just a bit more — exactly enough space for the stylish traveler. 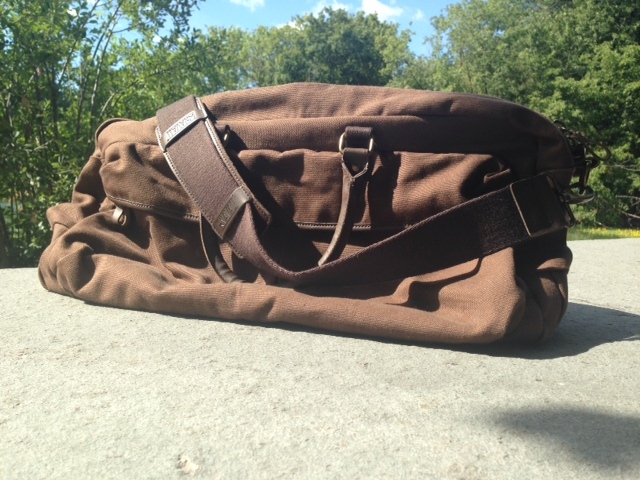 On top of its tremendous function, the bag is a pretty handsome-looking piece. 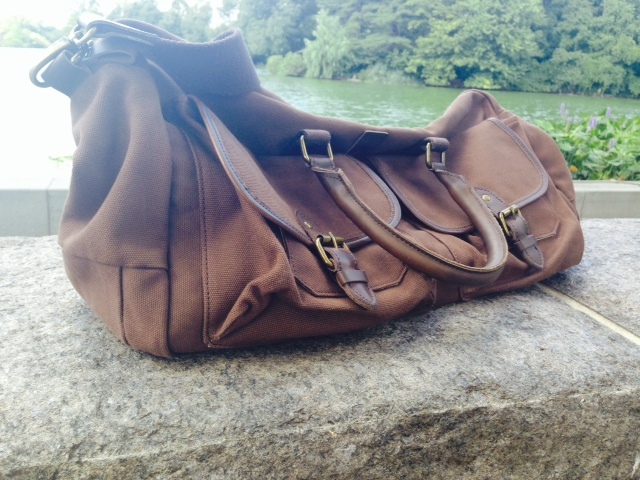 The rich brown color, combined with the deeper brown leather finishings, stands out in all the right ways compared to a normal gym bag or even a black duffel bag. Also available in a lighter ‘natural’ color as well as charcoal grey, the brown shade (or ‘carafe’) finds the right balance between being weekend-appropriate and polished. It manages to look rugged yet refined, the absolute best way to look when traveling across the country or just up the road. Any experience with this particular piece? Any favorite luggage pieces when traveling? Leave it all below. 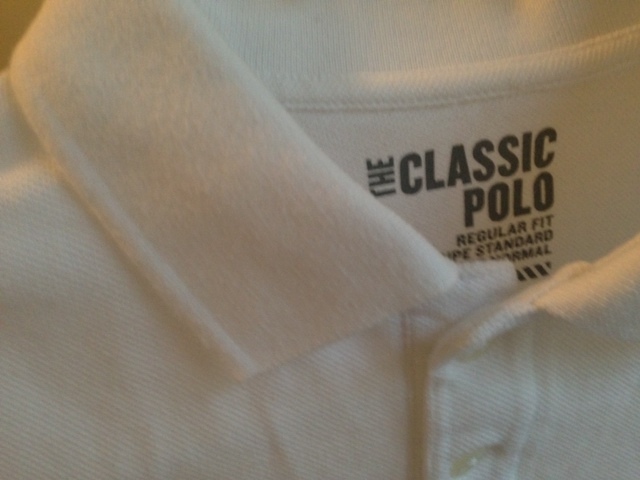 August 19, 2014 by Beau H.
An essential: The ‘Classic Polo’ in white from Old Navy. About as inexpensive & simple as it gets. 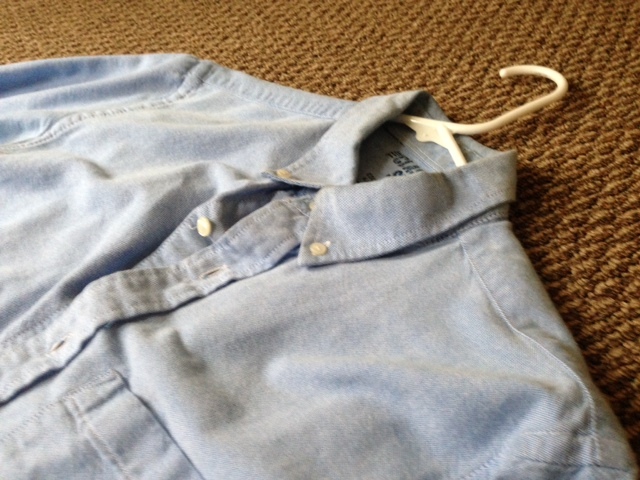 Yet another essential: A classic blue OCBD from Old Navy. One of the first topics covered on the blog (and perhaps one of the most important) centered around style essentials — those items that guys can wear anytime of year regardless of the season or other trends. 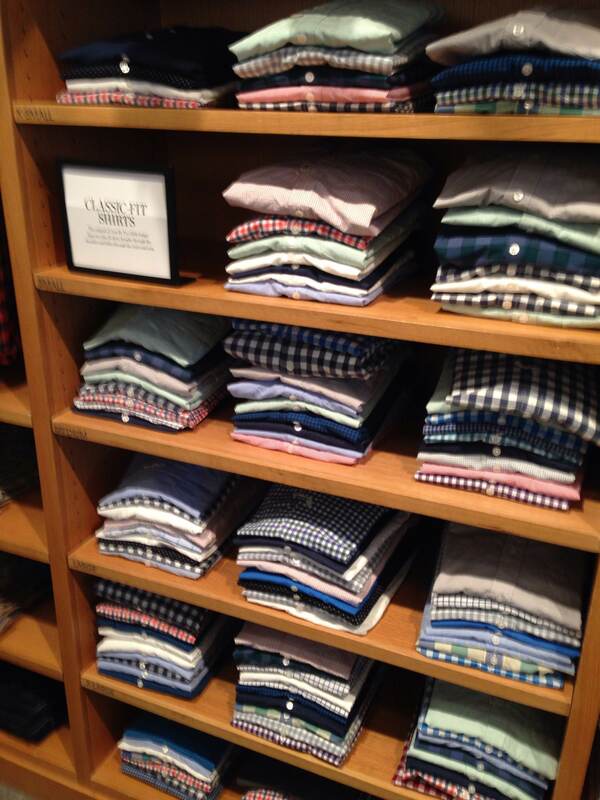 We’re talking things like the blue Oxford cloth button-down — the perfect polo alternative. We’re also talking about the one pair of pants every guy needs to have — that would be dark denim. 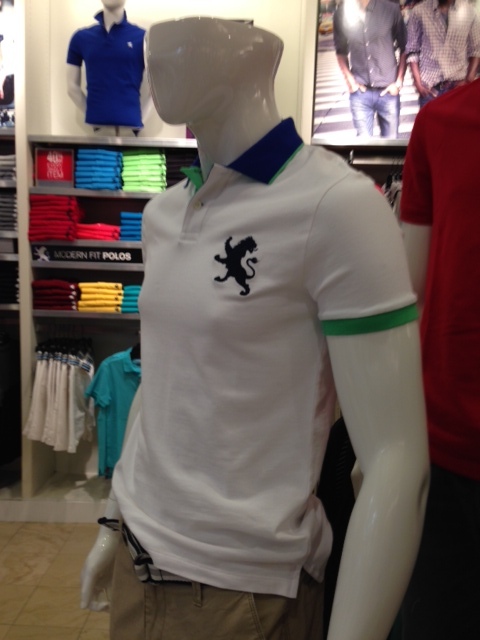 And of course, a crisp white polo is never a bad thing to reach for you in the warmer months, either. Start with these items as the foundation of your wardrobe and incorporate new products (more on that in a second) and your style is off and running. 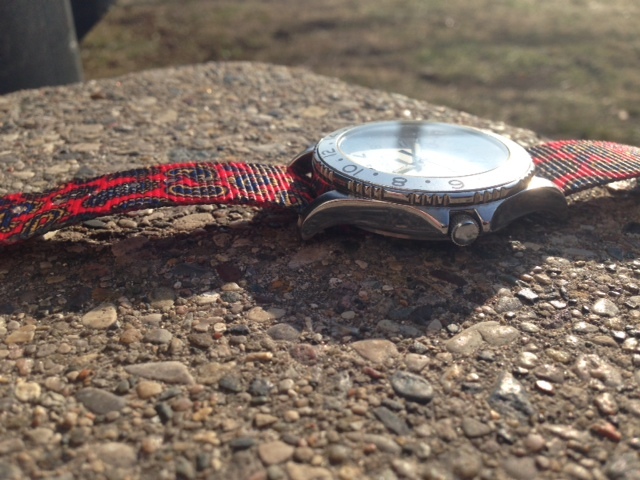 As reviewed: Use a watch strap to inject some color into a look on sunny days. 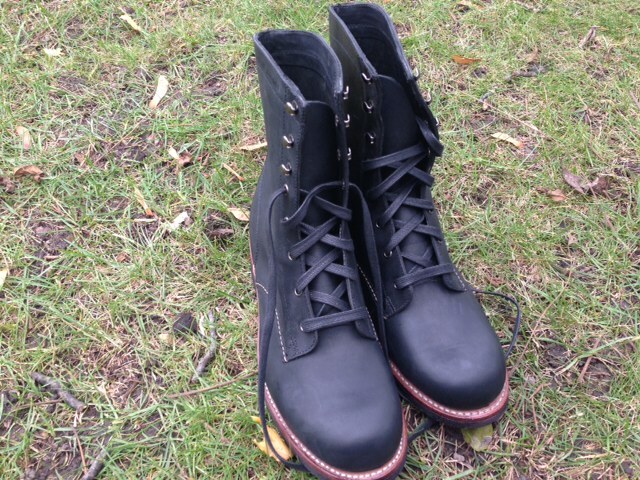 As reviewed: Wolverine 1000 Mile Austen boots in black. The perfect shade and style for fall and winter. Product reviews on the site here have focused on virtually every item of clothing a guy might need, ranging from stylish polos to a colorful watch strap to sturdy boots fit for stomping through the snow. In the meantime, other reviews have touched on seasonal basics, like crisp white sneakers for the summer or a lightwash denim shirt equally at home in the summer or winter. My favorite of these products? Probably my white Tretorn sneakers, which have gotten tons of wear with T-shirts and jeans as of late. Use these reviews to find style inspiration and make your own decisions about what’s right for you, and you’ll build a versatile and well-stocked wardrobe. In the quest to build great style, there are all kinds of resources out there, a sometimes-confusing web of brands, stores and e-commerce outlets. The Starter Style Review series looks to cut through this clutter and provide the highlights, in pictures and words, of stores that can be tremendously helpful when shopping on a small (or decently large) budget. Entries have chronicled everywhere from the likes of basics bargain store Target to quirky college-town staple Urban Outfitters and even the more continental Club Monaco. Swing by one of these stores and see for yourself how your dollars can work for you when building a curated wardrobe. 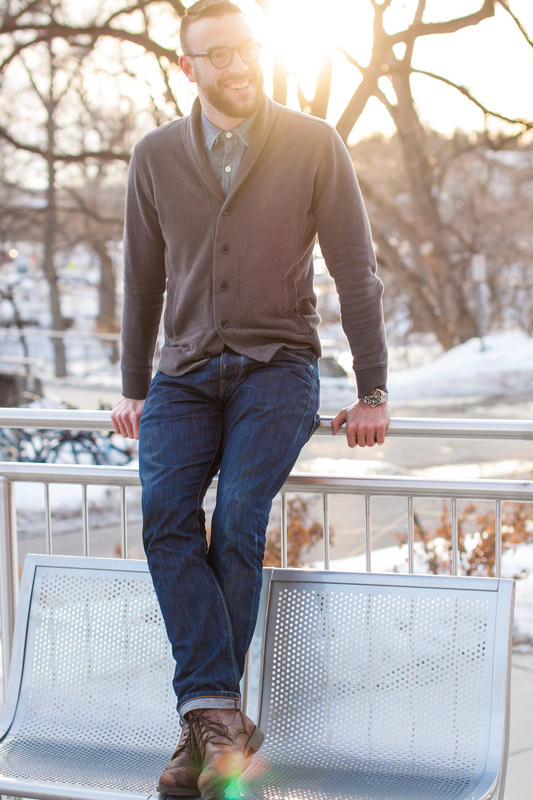 For the winter: A casual way to switch up the v-neck sweater. For the spring and summer: Lightwash jeans. 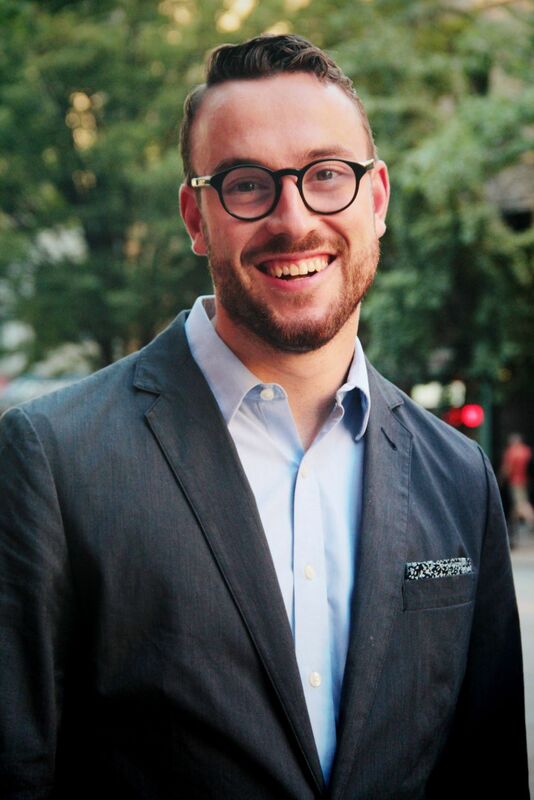 Across the past year, style suggestions have been a frequent favorite of mine to write about. Check out spring style suggestions for items that can work interchangeably (like lightwash jeans and a denim jacket) and dig into winter style for ways to stay warm when chillier weather hits. Highlights here include the best way to swap out your regular v-neck sweater (reach for a shawl collar cardigan) and what shirt to throw on with that cardigan (try a chambray shirt that’ll also work year-round). And in the spring, when wearing shorts or shirts, check out some of these tips here and here. 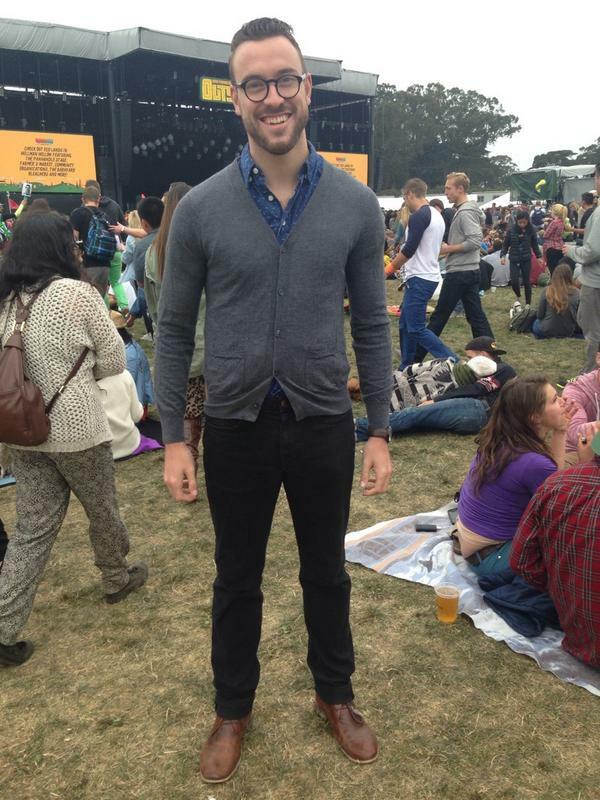 In recent weeks, my travels took me out West to the Outside Lands music festival. With that trip came the chance to really put my knowledge (limited knowledge?) of packing well to the test. It was an extremely fun trip that really made me focus on how to create combos that stood up to the weather while also staying versatile — and I learned a bit about what I would pack in the future, as well. Oh, and the music (Local Natives, Haim and Arctic Monkeys, among others) was pretty good too, as was the company (my amazing girlfriend, Liz)! Dressing for a holiday like Christmas or Thanksgiving? Or bouncing around parties on the Fourth of July? Check out the linked articles for how to stay stylish and celebrate the occasion. 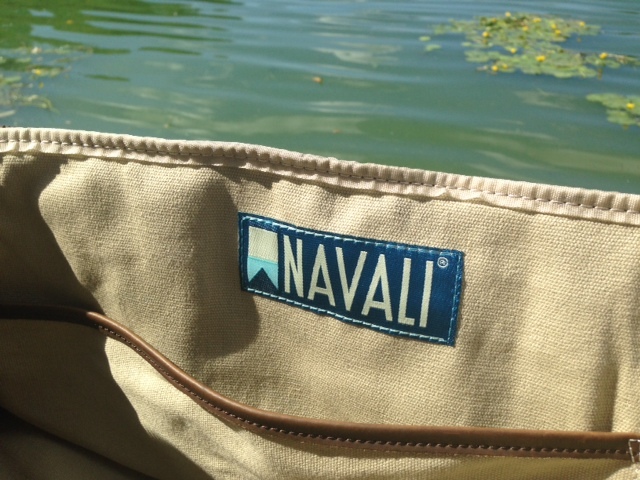 In the coming weeks, keep your eyes peeled for a review of my Navali Stowaway Weekender Bag. Also, be sure to check out the blog for style suggestions as fall approaches (more than likely including an appearance by the Gustin Chore Coat, among others). Anything else you’d like to see on the blog? Suggestions for improvement? Leave it all below and thanks so much for reading! August 13, 2014 August 14, 2014 by Beau H.
Most of the spread for the weekend. What worked and what didn’t? Read on below. Chambray shirt by J. Crew. Jeans by Uniqlo. Boots by Steve Madden. Watch by Stuhrling. Glasses by Burberry. Popover shirt by J. Crew. Charcoal cardigan by Frank & Oak. Jeans by American Apparel. Boots by Steve Madden. Ready to see Local Natives and Haim. 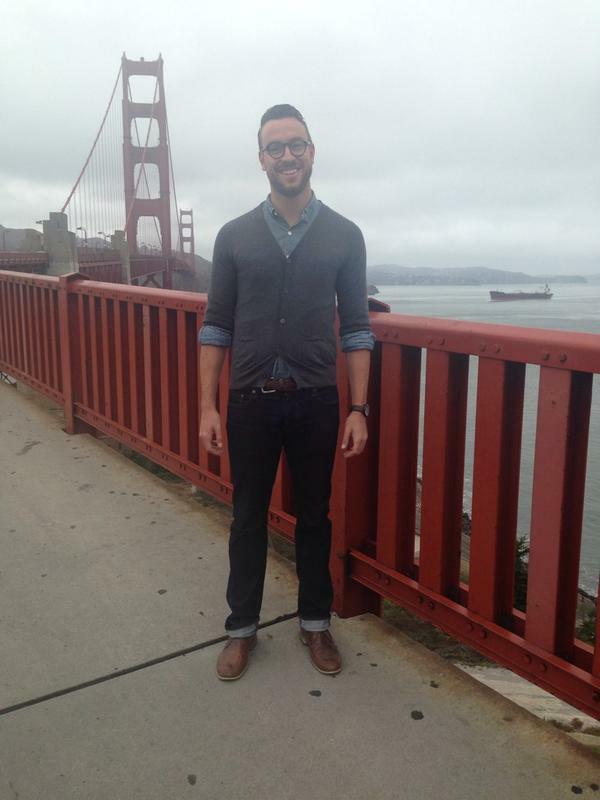 Using the versatile chambray shirt-and-cardigan combo to stay warm at the Golden Gate Bridge. As you can see, there were definitely certain items I returned to across the weekend (hopefully one of the signs of a versatile packing job?). I found that for both the flight there and concerts on Friday (including a fantastic show by Bleachers), my chambray shirt and dark denim more than got the job done in terms of being comfortable for the plane ride and wearable to the festival itself, although it did get slightly chilly on Friday night sans cardigan or jacket. The tank top stayed in the bag, and the popover needed to be paired with a cardigan this past weekend. Throughout the rest of the weekend, I was caught off-guard by how chilly it really did feel, which led me to layer my cardigan over my popover on Saturday, and again over that same chambray shirt on Sunday; however, an unexpected final-day temperature spike led to the cardigan being a bit too much. And while I hadn’t previously worn the combination, I was pleasantly surprised by how much I liked pairing my black jeans with my trusty brown Steve Madden boots. In fact, given the hilly terrain of Golden Gate Park and the requisite dust from trampled grass, I consistently reached for my boots again, not my white Tretorn sneakers. The chilly weather (with the exception of Sunday afternoon) also meant that my khaki shorts and blue-striped tank top stayed in my bag. But reaching for my desert boots meant that I got good wear out of the pairs of patterned socks I brought, including a red paisley pair from American Eagle (not available online). On the accessories front, I consistently wore my brown braided leather belt and brown Stuhrling watch, which I found was polished enough for both the festival and dinner afterwards. And while it was a good option to bring, the only time I wore my black Timex Weekender was on the flight home (paired with a short-sleeve gray henley, black jeans and my white Tretorn sneakers). Lastly, as a light jacket, my black Harrington jacket definitely worked as a nice extra layer for the plane. Were I to pack for a similar climate in the future, I would change a few things up. Namely, I would bring one more long-sleeve collared shirt (probably a blue OCBD) and one additional pair of slim jeans in a slightly different wash for variety (something like this). Additionally, I would leave the tank top at home and add in another pocket T-shirt in a neutral color. I would definitely grab my cardigan and jacket again, and absolutely keep my chukka boots, brown leather watch and brown belt handy. Packing for this trip was a great exercise in putting fundamentals like versatility and function to the test, and I can’t wait to do it again. Any experience packing for trips or festivals that you’d like to share? What to bring and wear (or what NOT to bring or wear)? Leave it below! August 8, 2014 by Beau H.
This weekend, I’m heading to Outside Lands music festival in San Francisco. Along with being excited to see some great music (including personal favorites like The Killers, Arctic Monkeys, Haim, CHVRCHES, Local Natives, Bleachers and Lucius) I’m also excited to get out of New York City and experience all that San Fran has to offer alongside my lovely girlfriend, Liz. This, of course, presents a pretty neat opportunity to hit the road in style! And while what I’m wearing certainly won’t be a central focus of the trip, it’s always nice to be dressed appropriately for any situation, including festival-going. While that could quickly devolve into wearing clothes more suited for a rave than being out among real people, for instance, it’s my goal to not let that happen. That’s why I’ll be bringing the following assortment of clothing on the road with me, packed into my Navali Stowaway Weekender Bag (look for a full product review on this piece in the coming weeks). Most of the spread for the weekend. Now, when packing for a trip like this, I took care of the obvious first — checking the weather. The forecast in San Francisco through the weekend calls for temperatures in the high 60’s to low 70’s, with partly cloud skies — ideal weather for escaping the sometimes-crushing heat of NYC and also a nice, temperate way to spend some time outdoors. Of course, being on the water and all, I expect it’ll get chiller at night and potentially rainy (genius thinking, right??). So with all that in mind, here’s more on what I came up with. Yes, the popover, chambray shirt and tank top all feature shades of blue. Like others, I have a bit of a thing for that color — but I’m breaking away from it, or trying to, at least. 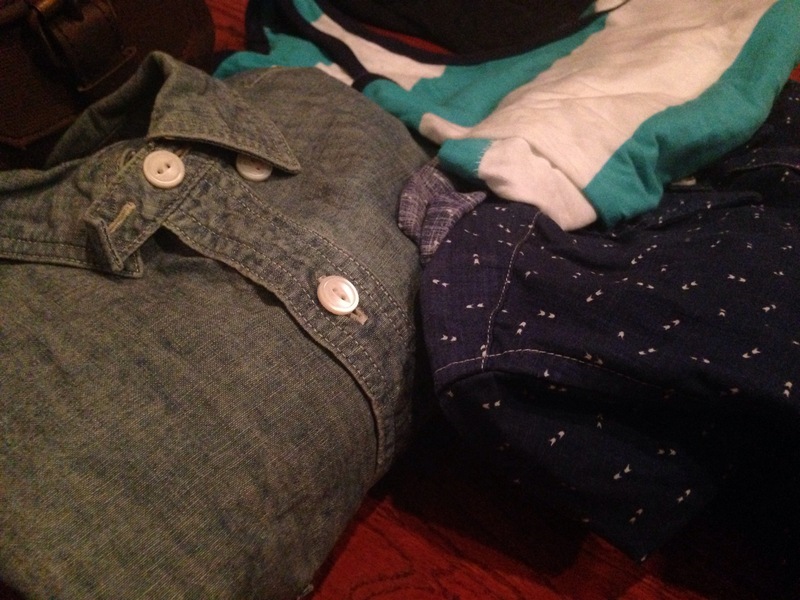 I plan to wear the chambray shirt with dark denim and desert boots for travel. as the desert boot is polished and yet sturdy enough to allow me to get through the airport, and around the city, in style. 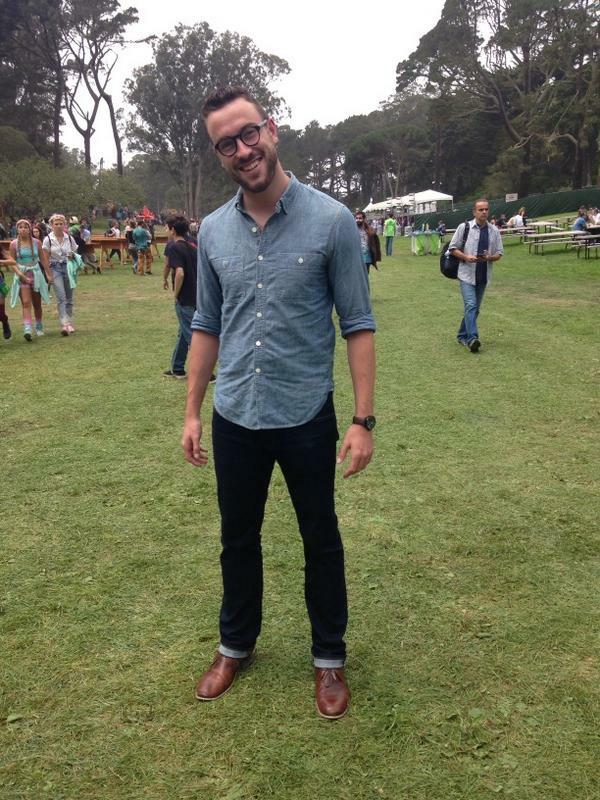 And the great thing about the chambray shirt is that I can definitely see myself pairing it with black denim and sneakers to head to the festival, or wearing it with khaki shorts elsewhere. The popover serves much the same function — if it does heat up, I can turn to a short-sleeve option and pair it equally well with black or blue denim, and sneakers or desert boots in turn. The breezy tank top is yet another option to turn to if it gets warmer than expected — the stripes are bold and bright, perfect for a summer festival without straying too far into neon territory. And in case I feel like a change of shirt in between the festival and dinner, I wanted to have a couple versatile extras on hand — the charcoal pocket tee is just different enough than a regular T-shirt, and a white V-neck is simple and straightforward. On the accessories front, a pair of patterned socks in a relatively neutral grey or black can work interchangeably with the desert boots, blue denim and any of the tops. 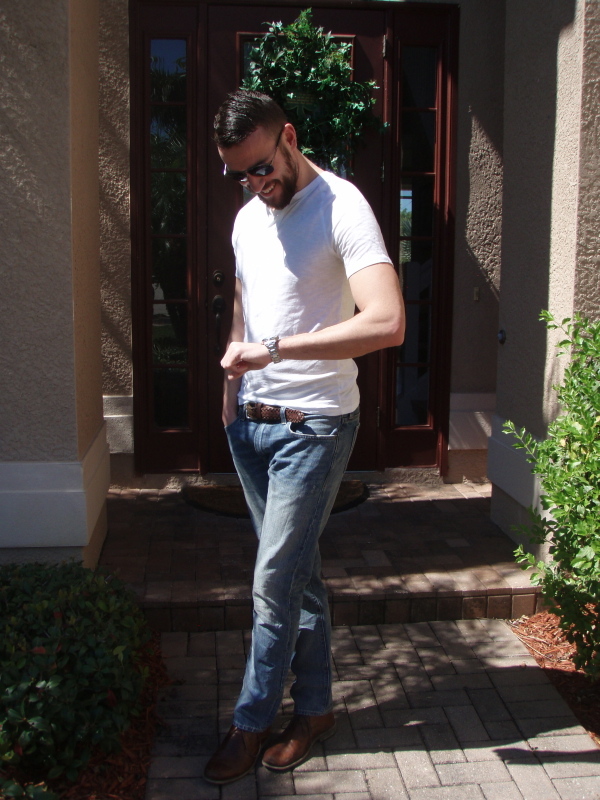 And because my black jeans are slim enough to wear sans belt, a braided brown leather belt will work the rest of the time with my dark denim and brown leather strap watch. The brown watch is dressy enough to wear out to dinner, but clean and minimal enough to wear at a show, while the Timex Weekender with interchangeable straps creates another set of colorful, coordinated options. To top it all off, if it gets chilly or rainy (or both), I can throw on either the black Harrington jacket or the charcoal cardigan and still look polished and crisp. At least, that’s the plan anyways. 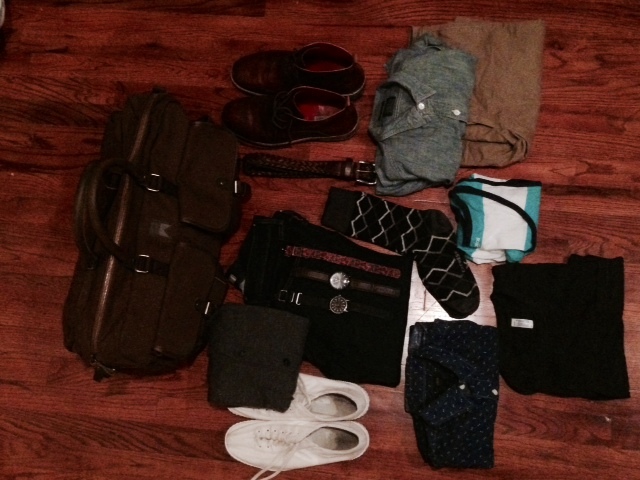 Look for a recap next week of what worked (and what didn’t work) with this packing plan! What’s your go-to festival get-up and what’s in your bag to get there? Leave it in the comments below.